As we approach the SNMMI Annual Meeting, we are ending a productive and exciting year! SNMMI and SNMMI-TS moved forward on many key issues and activities that affect imaging research and practice, with the ultimate goal of delivering the best possible care to patients. 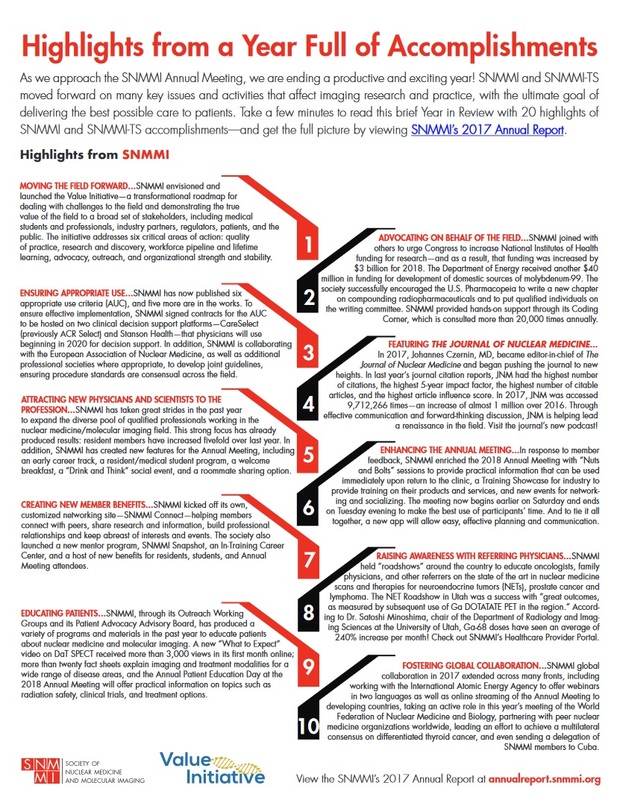 Take a few minutes to read this brief Year in Review with 20 highlights of SNMMI and SNMMI-TS accomplishments.